This article is about the military artificial intelligence. For the expansion, see Warmind (expansion). "The legendary Warminds stood watch over our Golden Age colonies: vigilant intelligences stretched across thousands of warsats and hardened installations. When the Collapse struck, the great Warminds fought and died." A Warmind is a military artificial intelligence designed for strategic orbital or land warfare. They are so complex and intelligent that the Vex have difficulty simulating them. A network of hardened planet-side military installations and countless Warsats were built during the Golden Age, prior to the Collapse, and were coordinated by Rasputin. According to Ikora Rey, Rasputin is the only Warmind in existence, or at least the only Warmind to survive the Collapse. Although several Warmind vaults across the system remain intact and functional centuries later, they lie empty. A fragment of Rasputin was marooned on Earth in the Cosmodrome due to the fragmentation of the Warmind network, but is able to remotely access some off-world installations thanks to the recent re-activation of the Terrestrial Complex comms array. 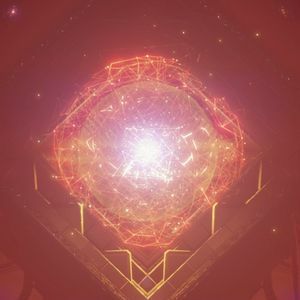 After the defeat of Xol and Nokris, this fragment was reconnected to the greater Rasputin intelligence in the Hellas Basin region on Mars. While the relationship between the two is currently unknown, investigations by Tyra Karn uncovered the existence of subminds alongside their Warmind counterparts. Currently the only three subminds known to exist are Charlemagne, Voluspa, and Malahayati, the three of which were paired with Rasputin. It appears that these minds were once mistakenly regarded by scholars within the City as being Warminds in and of themselves. Nonetheless there may be other Warmind intelligences separate from Rasputin in existence.